NEW DELHI - As China consolidates its hold in South China Sea and wields its military, economic and diplomatic leverage, smaller countries see no credible option but to work with Beijing, even if that means furthering Chinese objectives. Manila, for example, seems willing to accede to Beijing’s demand for joint development of hydrocarbon resources in the Philippines’ own exclusive economic zone. In the South China Sea, China has astounded the world with the speed and scale of its creation of artificial islands and military infrastructure. The first Chinese dredger arrived in the region in December 2013. Less than five years later, China has largely completed building most of its forward military bases. 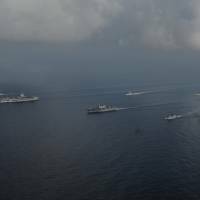 It is now ramping up its military assets in the South China Sea. Yet China has incurred no international costs for pushing its borders far out into international waters. In fact, China stepped up the expansion of its frontiers after an international arbitration tribunal invalidated its expansive claims in the South China Sea through a 2016 ruling in a case instituted by the Philippines. U.S. Defense Secretary Jim Mattis recently called out China for its “intimidation and coercion” of smaller nations in the region. His criticism of the Chinese strategy in the South China Sea followed American action to disinvite China from this summer’s Rim of the Pacific maritime exercise, known as RIMPAC. This might suggest that the U.S. is taking a tough line. In reality, America’s response to China’s expansionism in the South China Sea has remained muted. The U.S. has focused its concern merely on safeguarding freedom of navigation through the South China Sea. In fact, the U.S. has refused to take sides in the territorial disputes between China and the other claimant-states in the South China Sea. The Trump administration stayed silent even when Chinese military threats forced Vietnam in March, for the second time in less than nine months, to halt oil and gas drilling on its own continental shelf. The U.S. has similarly stayed neutral on disputes elsewhere between China and its neighbors. For example, President Barack Obama publicly said that “we don’t take a position on the sovereignty of the Senkaku Islands” and advised Tokyo and Beijing to sort out their dispute peacefully. This line has not changed under Trump, despite his reassurance that the Japan-U.S. security treaty covers the Senkakus. Growing Asian anxieties over China have helped the U.S. to return to Asia’s center-stage by strengthening old alliances, such as with Japan, South Korea and Singapore, and building new strategic partnerships with India, Vietnam and Indonesia. It has also befriended the former pariah state of Myanmar. Yet, despite this diplomatic windfall, the U.S. has been reluctant to draw a line on Beijing’s salami-style actions to change facts on the ground. To be sure, the Trump-led U.S. has stepped up the so-called freedom of navigation operations in the South China Sea. But these operations neither reassure the smaller states nor deter China, whose actions continue to violate the United Nations Convention on the Law of the Sea, or UNCLOS. In the East China Sea, China established an air-defense identification zone (ADIZ) in 2013 covering territories, like the Senkakus, that it claims but does not control. This action set a dangerous precedent in international relations. In the South China Sea, rather than openly declare an ADIZ, China will likely seek to enforce one by gradually establishing concentric circles of air control — but only after it has deployed sufficient military assets there and further consolidated its hold. 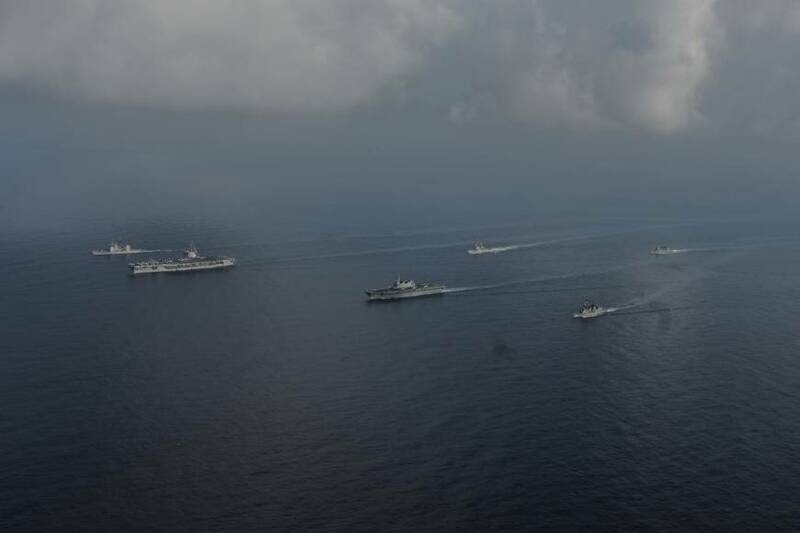 It has already set up an interconnected array of radar, electronic-attack facilities, missile batteries and airfields on the disputed Spratly Islands. And by turning artificial islands into military bases, it has virtually established permanent aircraft carriers whose role extends to the Indian Ocean and the western Pacific. China’s strategy poses a serious challenge to its neighbors, which face a deepening dilemma over how to deal with its creeping aggression. The U.S., while seeking to protect its military freedom of navigation in the South China Sea, has effectively turned a blind eye to the broader Chinese assault on the freedom of the seas, including restricting the rights of other states to natural resources on their own continental shelves. Unless the U.S. shifts its focus from freedom of navigation to freedom of the seas, China will have its way, including forcing its smaller neighbors to share their legitimate resources with it. The Philippines, for example, is at serious risk of wilting under Chinese pressure. Prevented by Chinese military threats from tapping energy resources in an area of seabed known as Reed Bank, which is located close the Philippine coast, Manila seems willing to enter into a deal with Beijing to equally share the output from a joint gas project there. Under the international arbitration ruling, the Philippines have exclusive rights to Reed Bank. But with China trashing the ruling in the absence of an international enforcement mechanism, the message to Manila is that might makes right. Left with no other option, Manila appears ready to offer Beijing half of the gas production, but no sovereign rights. The logic behind such a prospective offer is that any Western oil giant, if it developed Reed Bank, would take about 50 percent of the output as its share. So the choice is between a Western oil company like Exxon Mobil and a Chinese state-run giant, such as the China National Offshore Oil Corp. But such a Philippine deal would encourage China to seek similar concessions with other claimant-states, effectively blocking out Western oil firms from the South China Sea. Make no mistake: Chinese territorial and maritime revisionism has made the South China Sea the world’s most critical hot spot. In fact, the South China Sea has become central to the wider geopolitics, balance of power and maritime order.